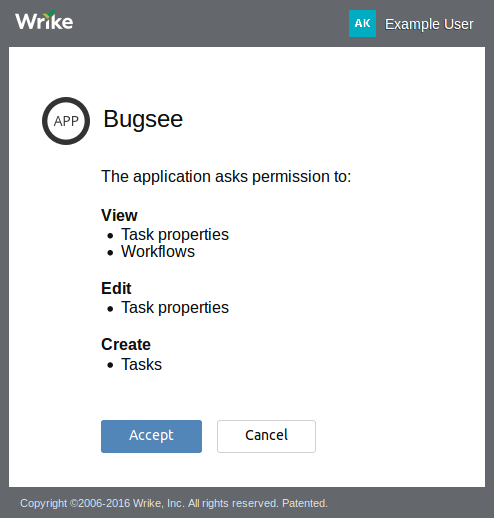 Start Bugsee integration wizard and select "OAuth" at the first step. Click "Next". 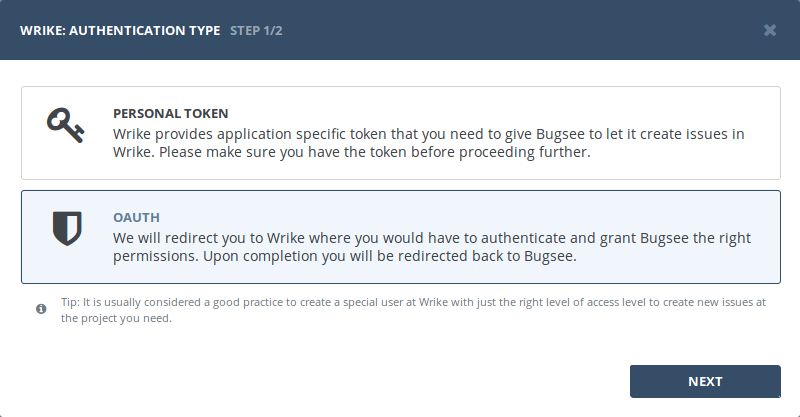 You will be presented with dialog asking you to authorize Bugsee. Click Authorize to allow Bugsee access your GitLab. There are no any specific configuration steps for Wrike. Refer to configuration section for description about generic steps.